Learn the stories of the orphans and how you can help (click here). 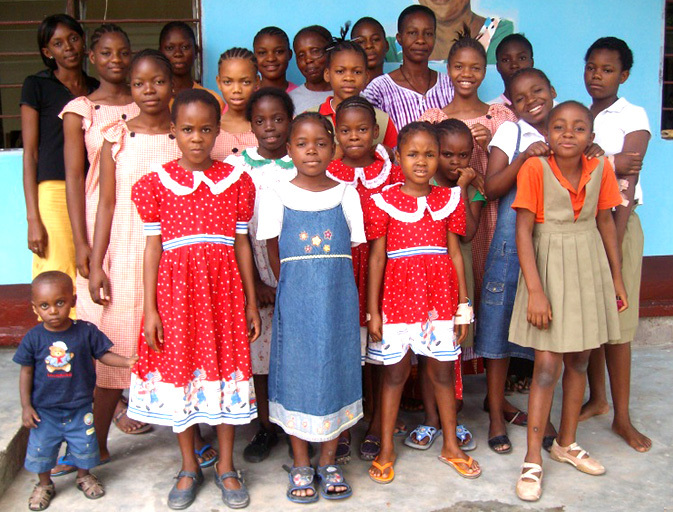 The Admirable Mother Orphanage looks to provide a home for children without anyone to care for them. Health care is first priority for the children. All new orphans undergo a thorough medical examination and are provided both medical and dental tr eatment throughout their life at the orphanage. To avoid malaria the children sleep under mosquito netting and are given quinine as a preventative treatment. The second but equally important priority is education. All the children attend school during the days. Currently, some of the older girls are enrolled in advanced private schools and tutoring is always available for those who need it. Religious and moral training is the work of the "mamas" and the local pastor. When the time comes for the children to leave the orphanage and take their place in the world, we are confident they will leave prepared. We have every reason to believe they will become valuable citizens of their country and carry out their dreams. “Meet the children”. Elisabeth Ph. Heiser Foundation. All Rights Reserved.